What is my verdict? Fantastic! 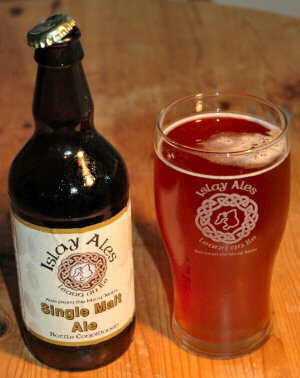 I think this is my new favourite ale from Islay Ales, replacing the Saligo Ale. I can't describe tastes like other people do, to me it had a quite strong taste (something I like), a taste which somehow reminded me of a peaty and smoky Islay single malt (again something I like very much). I'm afraid that's all I can say.